Vietnam values the presence of AES Corporation and investment in the Mong Duong 2 power plant in Quang Ninh, stated Deputy Prime Minister Vuong Dinh Hue. Hue made the statement at a reception for President of AES Vietnam David Stone in Hanoi on May 17. At the reception, Stone said his company is carrying out researches for its investment in the Son My 2 gas-fired thermal power project in the form of Build-Operate-Transfer (BOT) and expected its participation will contribute to boosting Vietnam – US trade and investment. The project consists of three power plants using liquefied natural gas, with designed capacity of 750 MW each. Built at the Son My industry-services-gas complex in the central coastal province of Binh Thuan, the facilities are set to become operational in 2023, 2024 and 2025. 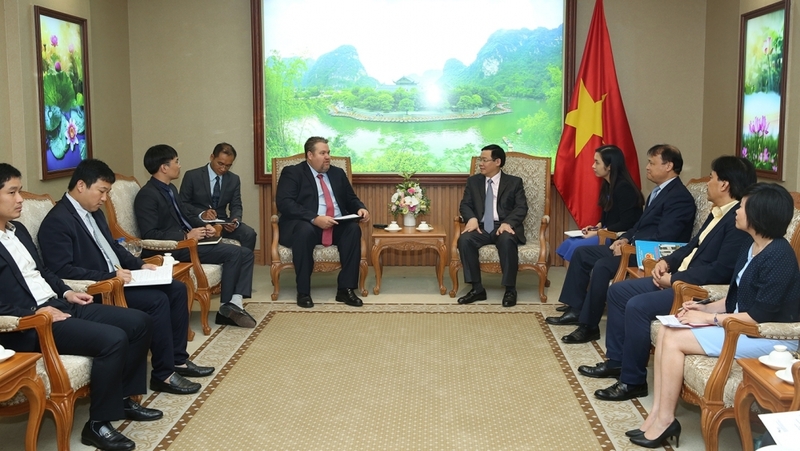 Stone also talked about AES’s coordination with the PetroVietnam Gas JSC (PV Gas) to implement the Son My liquefied natural gas (LNG) terminal project in the south-central province of Binh Thuan. The Deputy PM said he supports the LNG terminal projects, urging both sides to speed up their signing of a partnership contract to implement the project as soon as possible. Regarding the Son My 2 project, he requested AES work with PV Gas to identify the most suitable investment model, adding that the Vietnam Ministry of Industry and Trade will directly address difficulties arisen in the sides’ cooperation. AES is a US-based power company, which is listed in the US Fortune-200. It joined shareholders from subsidiaries of Posco Energy Corporation from the Republic of Korea and China Investment Corporation to form the AES-VCM Mong Duong Power Company Limited in Vietnam. The company is known for its 1,242 MW Mong Duong 2 power plant in the northern procvince of Quang Ninh. The coal-fired power project plant was built under a Build-Operate-Transfer (BOT) agreement and would be transferred to the government after 25 years.